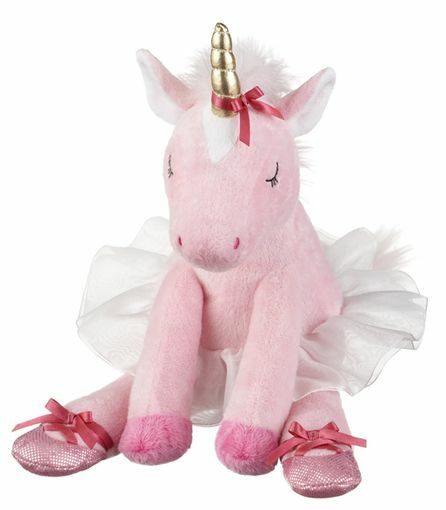 This Annabella Ballerina Unicorn from Ganz is an adorable plush toy. It measures approximately 9 inches. It has beautiful pink plush fur, a white tutu skirt and pink shimmery ballerina shoes. This sweet unicorn is from the Ganz Plush Collection.